Not to be confused with Metabolic syndrome or Diabetes. Some of the possible symptoms that can occur with metabolic disorders are lethargy, weight loss, jaundice and seizures.The symptoms expressed would vary with the type of metabolic disorder. [medical citation needed] There are four categories of symptoms: acute symptoms, late-onset acute symptoms, progressive general symptoms and permanent symptoms. Inherited metabolic disorders are one cause of metabolic disorders, and occur when a defective gene causes an enzyme deficiency. These diseases, of which there are many subtypes, are known as inborn errors of metabolism. Metabolic diseases can also occur when the liver or pancreas do not function properly. Metabolic disorders can be present at birth, and many can be identified by routine screening. If a metabolic disorder is not identified early, then it may be diagnosed later in life, when symptoms appear. Specific blood and DNA tests can be done to diagnose genetic metabolic disorders. 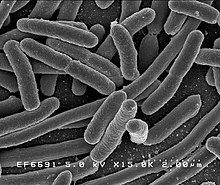 The gut microbiota, which is a population of microorganisms that live in the human digestive system, also has an important part in metabolism and generally has a positive function for its host. In terms of pathophysiological/mechanism interactions, an abnormal gut microbioma can play a role in metabolic disorder related obesity. Metabolic disorders can be treatable by nutrition management, especially if detected early. It is important for dieticians to have knowledge of the genotype to therefore create a treatment that will be more effective for the individual. ^ a b "MeSH Descriptor Data: Metabolic diseases". National Library of Medicine. Retrieved 27 July 2015. ^ a b "Newborn Screening". MedlinePlus. Retrieved 27 July 2015. ^ a b "Metabolic Disorders: MedlinePlus". www.nlm.nih.gov. Retrieved 27 July 2015. ^ Fernandes, John; Saudubray, Jean-Marie; Berghe, Georges van den (2013-03-14). Inborn Metabolic Diseases: Diagnosis and Treatment. Springer Science & Business Media. p. 4. ISBN 9783662031476. ^ "Inherited Metabolic Disorders Overview: Overview, Clinical Features and Differential Diagnosis, Epidemiology and Statistics". 2018-08-09. ^ "Inborn errors of metabolism". MedlinePlus Medical Encyclopedia. Retrieved 27 July 2015. ^ Hur, Kyu Yeon; Lee, Myung-Shik (2015-06-01). "Gut Microbiota and Metabolic Disorders". Diabetes & Metabolism Journal. 39 (3): 198–203. doi:10.4093/dmj.2015.39.3.198. ISSN 2233-6079. PMC 4483604. PMID 26124989. ^ "Newborn Screening: MedlinePlus". www.nlm.nih.gov. Retrieved 2015-09-06. ^ Acosta, Phylis (2010). Nutrition Management of Patients with Inherited Metabolic Disorders. Jones and Bartlett. p. 2. ISBN 9781449633127. Retrieved 27 July 2015. Hoffmann, Georg F.; Zschocke, Johannes; Nyhan, William L. (21 November 2009). Inherited Metabolic Diseases: A Clinical Approach. Springer. ISBN 9783540747239. Gonzalez-Campoy JM, St Jeor ST, Castorino K, Ebrahim A, Hurley D, Jovanovic L, Mechanick JI, Petak SM, Yu YH, Harris KA, Kris-Etherton P, Kushner R, Molini-Blandford M, Nguyen QT, Plodkowski R, Sarwer DB, Thomas KT, American Association of Clinical Endocrinologists, American College of Endocrinology and the Obesity Society (September – October 2013). "Clinical practice guidelines for healthy eating for the prevention and treatment of metabolic and endocrine diseases in adults: cosponsored by the American Association of Clinical Endocrinologists/the American College of Endocrinology and the Obesity Society". Endocr Pract. 19 (Suppl 3): 1–82. doi:10.4158/EP13155.GL. PMID 24129260. Archived from the original on 4 March 2016. Retrieved 27 July 2015. "Metabolic disorders". KidsHealth.org. Retrieved 27 July 2015.